Are you a chex mix person? I've always associated it with the holidays, since my mom makes huge batches of baked garlic chex mix at Christmastime. It sits around in bowls which somehow refill themselves and makes the most perfectly cozy vacation snack. Plus, chex mix makes a great gift. And not just during holiday time! After filling up on the baked garlic stuff this holiday season, my mom and I had an urge to get some ranch action in for a next batch. 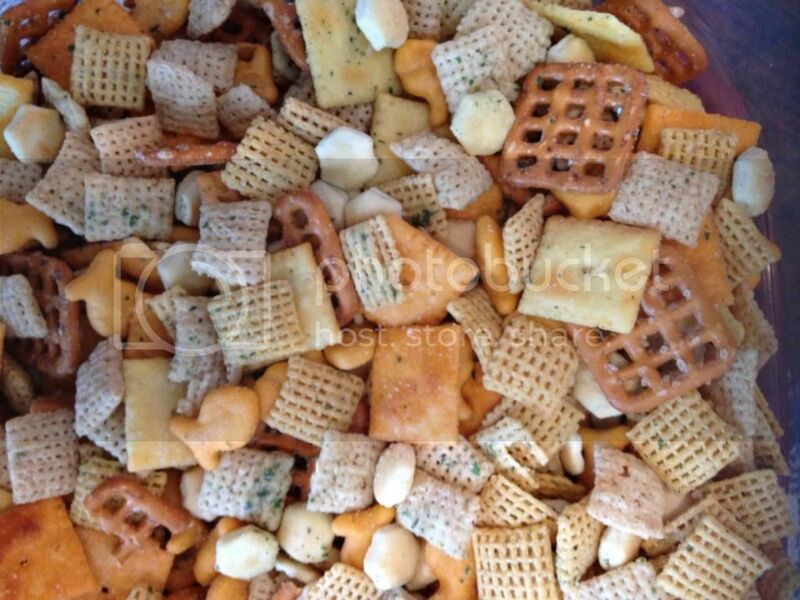 I combed through many recipes for cheesy ranch chex mix, read many reviews, and created this one. I love it. Hope you enjoy it! Combine crackers, pretzels, and cereal in a large bowl. Pour about half of the melted butter over the mixture, then sprinkle about half of the Ranch mix. Stir to coat. Repeat with remaining butter and Ranch mix. Store in an airtight container for up to 2 weeks. Makes a great gift or party snack!